Jumilla, a region whose rich, hefty wines are made from the indigenous Monastrell grape have historically been used for blending, has now come into its own. No longer the rustic country bumpkin, Jumilla now produces wines that are finding a growing audience for fans of ripe, fruity, full-flavored wines that are reasonably priced and compare favorably to those from warm-country growing areas such as California and Australia. Located in an arid mountain valley, some 50 miles inland from the Mediterranean Coast of Alicante, southwest of Valencia in the province of Murcia, Jumilla's 100,000-plus acres of vineyards are planted at altitudes that range from 1,300 to nearly 3,000 feet above sea level. Temperatures here can be extreme, soaring to more than 100 degrees on summer days and dropping to well below freezing in winter. Jumilla gets some 3,000 hours of sun per year and only about 16 inches of annual rainfall, but roots of traditional old vines burrow deep in search of moisture and most modern vineyards are fed by drip irrigation. But don't be fooled by the climatic conditions in Jumilla. Like many other regions in Spain (the second most mountainous country in Europe), the secret behind making successful, balanced wines in areas that would seem to be too warm to make seriously good wines, is altitude. The vineyards' thermostats may be cranked up during the daylight hours in summer, but at night temperatures at these altitudes cool down dramatically. This allows the vines a good night's rest to buttress themselves for the coming day and is the secret behind Jumilla's emergence from near obscurity. The grapes get properly ripe, but still have enough acids because of the cool nights to carry the hefty weight of the wines they produce. The brownish soil (with underlying chalk) and the arid conditions in Jumilla are inhospitable to the phylloxera bug that devastated Europe in the late-19th century; so inhospitable that many old Monastrell vineyards in Jumilla are planted on pie franco, or ungrafted French rootstock. In contrast, the vast majority of vineyards in Europe had to be grafted long ago onto American, phylloxera-resistant rootstock. In Jumilla, Monastrell is the most important authorized grape variety and accounts for 90% of the wine produced. Monastrell is an indigenous grape variety, also sometimes called Mataró or Murviedro in Spain, but known to the rest of the world by the French name Mourvèdre (believed to be the French pronunciation of the ancient Spanish town of Murviedro). To be labelled 'Monastrell,' a Jumilla wine must contain at least 85% of the variety. Other red varieties authorized in the Jumilla denominación de origen (D.O.) 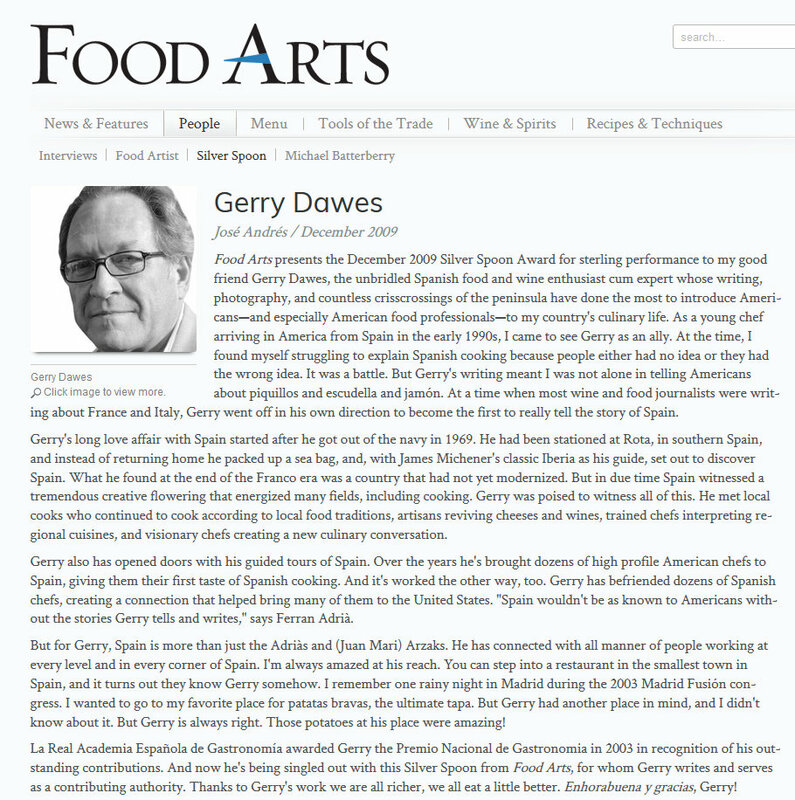 are Garnacha Tintorera, which makes a powerful, deeply colored blending wine; Garnacha, the great Spanish grape that is also used widely in La Rioja, Navarra, Aragón and Priorat; Tempranillo/Cencibel, the main grape of neighboring La Mancha; Cabernet Sauvignon; Merlot; the exceptionally promising French Syrah; and Petit Verdot (authorized since 2003), which also shows great promise (Casa de la Ermita makes an exceptional example). Though white grapes are insignificant at this stage, also authorized are Airén (so widely planted in La Mancha that its acreage ranks first among the world’s white grapes); Macabeo, known as Viura in La Rioja; Pedro Ximénez of Montilla-Moriles (and Sherry) fame; the ancient Mediterranean white variety, Malvasía; and Moscatel Grano Menudo (small berry Moscatel, an important grape of neighboring Alicante and Valencia). 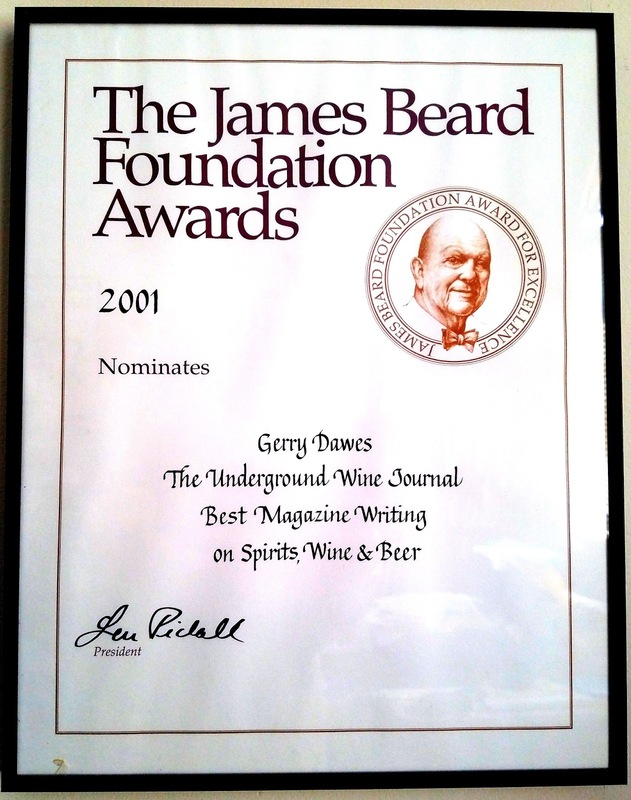 This last grape was approved in 2003, along with Chardonnay and Sauvignon Blanc. While not yet officially approved, Viognier may have promise in Jumilla as well, though few bodegas make wines from it. Aficionados of Spanish wines are discovering the joys of Jumilla wines, and, given the excellent price-quality ratio of many of these Monastrell-based wines, those who are looking for wines that deliver a lot of bang of their buck may find their nirvana in these flavor-packed wines. Bodegas Agapito Rico is widely distributed by Classical Wines of Seattle, WA (www.classicalwines.com). Agapito Rico's Carchelo Monastrell, a very reasonably-priced wine made from old vines Monastrell blended with small amounts of Syrah and Merlot, has enjoyed steady sales for many years in the U.S. Carchelo Monastrell is an unoaked, bright, full-flavored, balanced wine with delightful ripe red fruit-plums, cherries, red currants-that is a good match for grilled meats, pizza, paella and pasta. Agapito Rico makes just over a thousand cases of Canalizo, an intense 100% Syrah wine that spends 18 months in oak and needs several years in bottle to fully develop. They also produce Altico Monastrell-Syrah, a powerhouse blend that is aged for ten months in French oak. 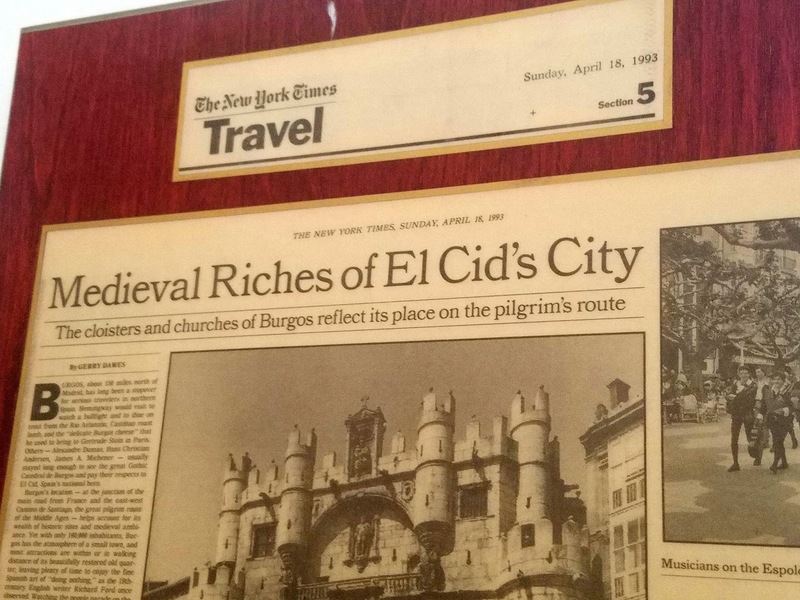 Bodegas Mayoral 1890, named for the date of its founded in 1890, has also had considerable success in the U.S. with their balanced, richly flavored, inexpensive Jumilla wines. 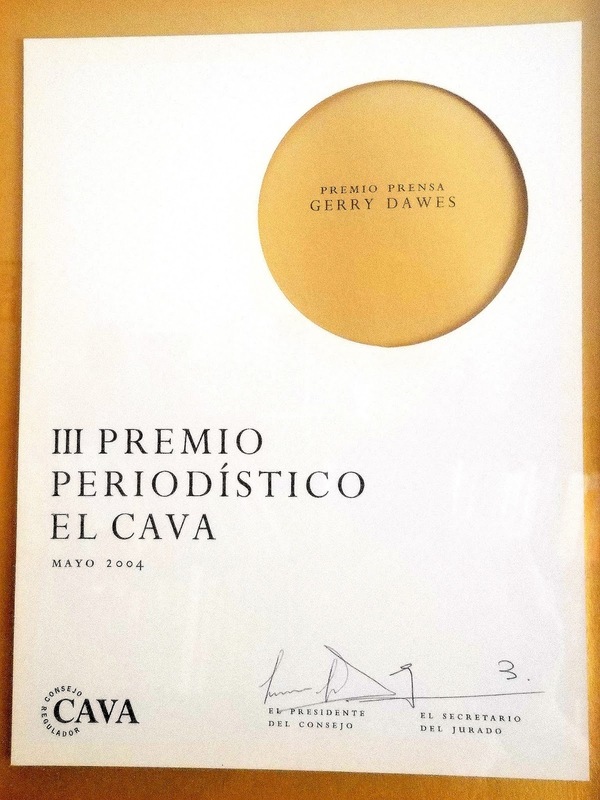 Wines from this bodega include the unoaked Mayoral, a blend of 60% Monastrell and 40% Tempranillo; a crianza (12 months in oak), which contains 70% Monastrell; and a reserva with Monastrell, Tempranillo and 20% Cabernet Sauvignon. They also make a Cabernet Sauvignon (100%), Syrah (100%), and Mayoral Selección (a blend of Cabernet Sauvignon, Monastrell and Tempranillo), all of which spend just four months in oak. Bodegas Bleda, produces the well-known Castillo de Jumilla brand and exports 85% of its production, mostly to northern Europe. These relatively inexpensive wines are very well-made and show attractive, easy-drinking peppery, black currant, blackberry and chocolate flavors. All these very well balanced wines - even their bright, fruity rosado - are made with a minimum of 55%-60% Monastrell, 40% Tempranillo, and sometimes 5% Merlot. There is also a Castillo de Jumilla Monastrell (100%) and the first-rate Divus, made with 90-95% Monastrell and 5-10% Cabernet Sauvignon or Merlot. Finca Luzón, an impressive estate vineyard planted en espaldera (on wires), is surrounded by stark, grey mountains. They produce well-made wines, including several Monastrell-based (50%) blends of Cabernet Sauvignon, Merlot and Tempranillo that are aged in new French and American oak. They also make a delicious Monastrell rosado; a rich, sweet 80% Monastrell Finca Luzón; Castillo de Luzón, a crianza (aged one year in oak) with 75% Monastrell; and their top-of-the-line Altos de Luzón, a blend of Monastrell from 50-year-old vines, Cabernet Sauvigon and Tempranillo. Casa de la Ermita, another impressive small winery that overlooks a vast valley of vines, is drawing attention with their 100% Viognier white wine; a young red that is a blend of Monastrell, Tempranillo, Cabernet Sauvignon, Merlot and Syrah; a Casa de la Ermita crianza made with a predominance of Monastrell and Tempranillo, laced with Cabernet Sauvignon; an organically farmed Ecológico Monastrell (100%); and a set of Monasterio de Santa Ana mono-varietals–Merlot, Monastrell, and Syrah–all of which spend three months in oak. But the Casa de la Ermita wine that is drawing the most interest from Spanish wine aficionados is their 100% Petit Verdot, aged 12 months in new American (75%) and French oak. The Jumilla winery that has earned the most kudos from both the Spanish and international press is Julia Roch e Hijos Casa Castillo. Their success is based on some splendid old vines vineyards, some of which are well over 50 years old, planted on ungrafted French rootstock in soils that show pronounced terroir. Many of the Casa Castillo wines contain some of the best Monastrell in the Jumilla D.O. The Casa Castilla 2001, blend of 50% monastrell and 50% tempranillo, was a rich mélange of sweet blackberry, currant, chocolate and licorice with a graphite mineral finish. The Casa Castillo Monastrell (85%) is sweet and rich with blackberry and currant flavors. The Casa Castillo Crianza, a Monastrell with 10% Syrah, shows even more of those rich blackberry, currant, chocolate and licorice flavors, again laced with an intriguing mineral finish. Their Las Gravas, a concentrated blend of 70% Monastrell, 15% Cabernet Sauvignon and 15% Syrah, is a tannic wine crammed with cherry, currant and blackberry flavors. The now legendary Pie Franco, a 100% Monastrell wine made from vines planted in 1941 on un-grafted rootstock, is another towering powerhouse that is loaded with soft fruit and has an engaging silky finish. Casa Castillo also produces limited quantities of a top-notch, well-balanced, sweet, late harvest Moscatel de Grano Menudo. Olivares makes the big, ripe Altos de la Hoya Monastrell table wines from ungrafted old vines. Their red table wines are intense and mineral-laced, but still a bit rustic. However, it is their Monastrell-based sweet wines that are some of the most exciting in the emerging genre of Spanish dessert wines. 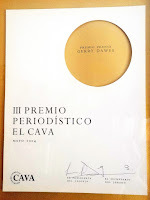 Olivares can't make these late harvest wines every year, but when they do the results are superb. Olivares Monastrell Dulce, made from low-yield, old vines fruit, is a deep, black wine with currants and exotic spices in the nose and rich, sweet blackberry, coffee and chocolate flavors on the palate. The Olivares Viejísimo 1930 is a very dry Fondillón, an unusual, compelling rancio wine with a cornucopia of flavors - coffee, tobacco, dates, dried citrus peel. But these magnificent, once nearly extinct wines from Murcia and Alicante are a subject deserving of an entire article to themselves. Many of the better wines of Jumilla are exported. Indeed, some bodegas export 90% of their wines and new wineries like Hijos de Juan Gil with their new brand, Wrongo Dongo, made by an Australian winemaker, are almost entirely aimed at the American market. Juan Gil and the Spanish dynamo in the American market, Jorge Ordoñez of Fine Estates From Spain, also produce the exorbitantly rated and wildly overpriced Clio and El Nido, though fans of Parkerista blockbusters with deep pockets may find much to like in these polished, but niche market-targeted wines. 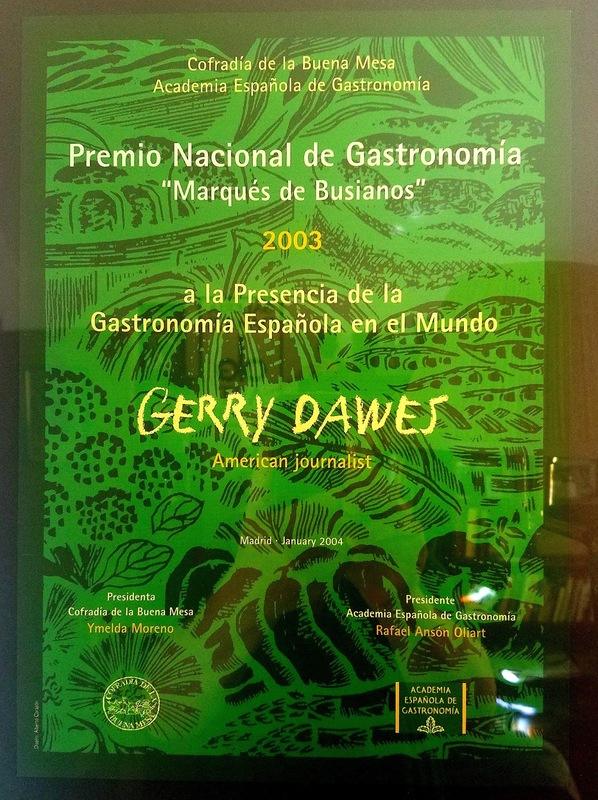 Gerry Dawes was awarded Spain's prestigious Premio Nacional de Gastronomía (National Gastronomy Award) in 2003. He writes and speaks frequently on Spanish cheeses, wine and gastronomy. 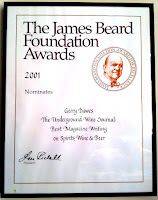 He was a finalist for the 2001 James Beard Foundation's Journalism Award for Best Magazine Writing on Wine. 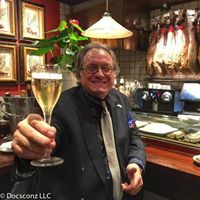 He has personally visited more than 30 wineries in the Levante region, which includes the Murcia regions of Jumilla, Yecla and Bullas and La Comunitat Valenciana D.O.s of Alicante, Utiel-Requena and Valencia.